Looking for the best GPS running watch? Check out this guide by running fanatic, running gear guru, and founder of Runabees, Robert Brown..
With the growing health and fitness awareness, it is no wonder that more people are becoming regular runners. As such, they need the easiest and most accurate way to track and analyze their performance, results, heart rate and their overall advancement in time. This is the reason why GPS watches for running are becoming so popular. There is a vast choice of GPS watches, in various price ranges and with a multitude of different options and functions. We have tested most of the top GPS watches, and have surveyed a number of runners to compile this list of best GPS watches for running for you. * Its GPS allows for route tracking and exploring – great for endurance runners and trail runners. * At a glance it will give you accurate info on your running speed, times, calories burned, pace and live statistics. * It works great for all kinds of sport, swimming included, as it is waterproof to up to 40m. * You can easily set goals and the Spark will keep track of your progress. 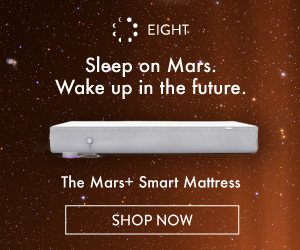 * It will also track your sleep. * The battery will last for 11 hours with GPS and up to 3 weeks without GPS. * The TomTom Spark Cardio + Music Has storage space for GPX files and music as well as Bluetooth headphones included. Overall, the TomTom Spark 3 GPS watch has everything a runner needs and it’s compatible with a wide range of smart phones. It is offered at an excellent price, too. * Added audio prompts for laps and time and it vibrates when you’ve been sitting for too long and it’s time to grab your running shoes! * Tracks distance, time, pace, VO2 Max, steps, sleep and calories burnt. * Smart notifications for emails, events, calls, texts, etc. * Social media sharing features and Garmin Connect IQ functionality. * Big, readable and bright display 44% bigger than the 220. * It looks great as an everyday watch. * Battery life is extended to 16 hours with GPS and 5 weeks without. With extended battery life, multiple functions, plus an excellent price, we strongly recommend the Garmin Forerunner 230 for runners who want a reliable tracking device. * GPS tracking – distance, speed and route. * A true multisport GPS watch. * Ability to create and customize various profiles for different sports and receive guidance and tracking info – this is extremely important as we all know that we should mix up the exercises. * Waterproof up to 30 meters. * Motivating feedback is given after a run. * Smart notifications and inactivity alerts. The Polar V800 GPS watch is reliable, great looking, simple for use but with excellent tracking capabilities and useful functions. * Up to 100m water resistance, integrated GPS, barometer and altimeter. * Accurate tracking of speed, heart rate, pace, distance, altitude and route. * Smart notifications for calls, texts, events, etc. * Amazing battery life of up to 200 hours. * Photo adding functionality to capture highlights of your run, race or other adventure. * High quality, durable build. If you are a hiker, a runner, or a person who loves outdoor activities, the Suunto Ambit3 is a solid choice that can be relied on at all times. * Easy connection and sync with Strava to share workouts. * Bluetooth headphones and access to Google playlists for a better running experience. * GPS tracking of the course, distance, pace and time intervals. * Battery life of 5 hours with GPS and up to 24 hours without. * Smart notifications from your phone. * Android Wear – so compatible with tons of apps. * Looks great on your wrist. This GPS watch by New Balance is another excellent choice for those who want to make sure their progress is monitored properly every time they go running or racing. * Bright 1.5 inch OLED display with Force Touch. * Built in GPS, accelerometer, heart rate sensor, gyroscope, microphone and fire speaker. * Wi-Fi, Bluetooth and up to 18 hours of battery life. * Water resistant to up to 50m. * Smart notifications when connected to your iPhone. * Access to the largest smartwatch app ecosystem in the Universe. The Apple Watch 2 is the world’s best-selling smartwatch. It’s also the world’s best smartwatch and a top pick for a GPS running watch.